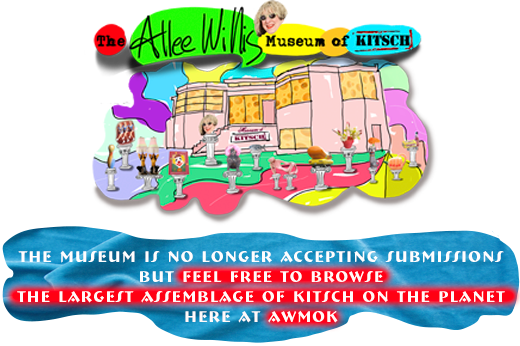 The Allee Willis Museum of Kitsch » The Allee Willis SUPER BALL Bounce Back Review – more eye popping rehearsal pics! 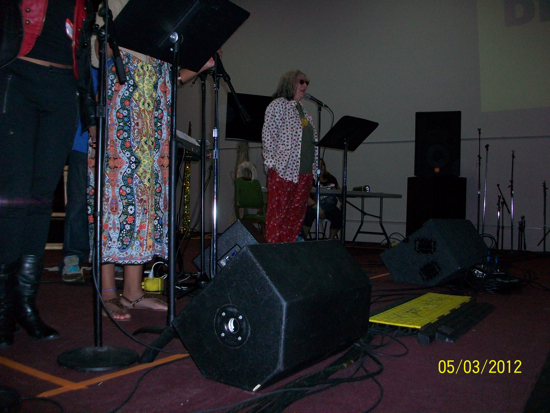 The Allee Willis SUPER BALL Bounce Back Review – more eye popping rehearsal pics! Allee discussing some details with Seven7, a killer drummer! 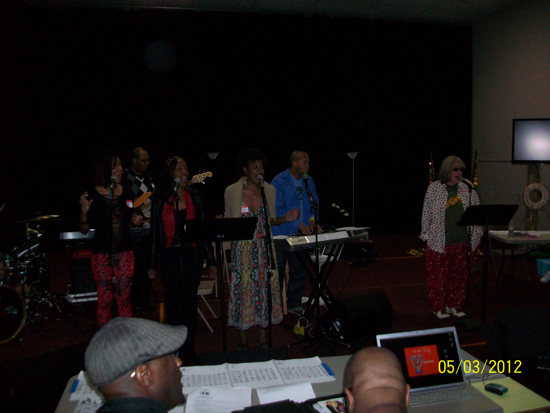 Richard Dorton, Andrae’, Darlene, Tena, Khadia, Akua and Seven7. 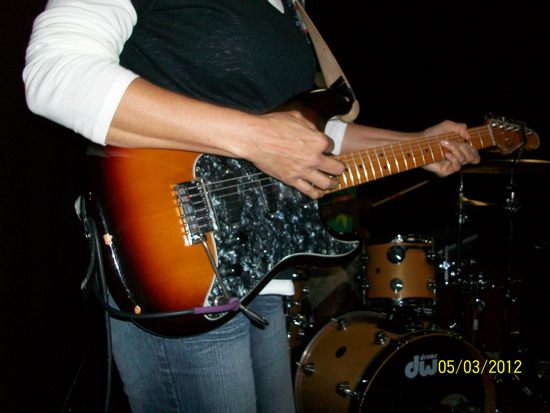 The amazing Darlene Moreno on guitar. 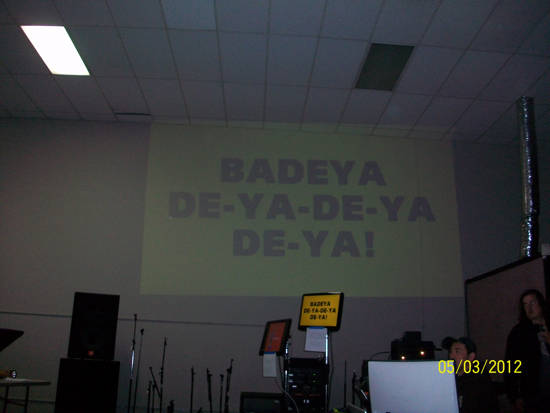 I told you so, everyone needs a little BADEYA in their life. Hundreds of photos from the actual shows will go up on Monday I hope. 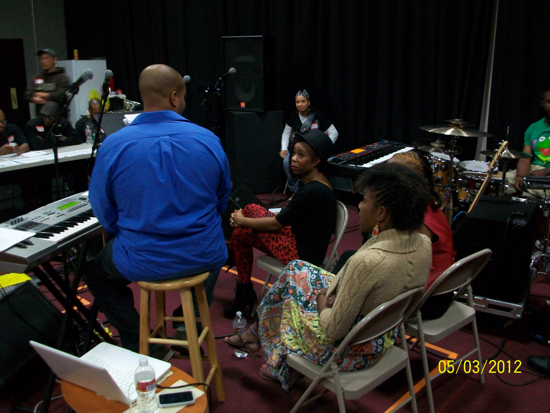 I loved those rehearsals. Trust me, I’d love nothing better than to come to Australia and perform. But I fear only you and a couple others know about me there. Maybe you need a nice trip to LA!